Small, coarse straining bag for separating fruit from the must. 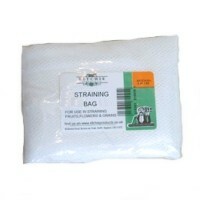 Coarse bag ideal for straining smaller quantities eg 1 gallon. If washed and dried after use can be used time and time again.